Click on boxes to find out more. The clinical neurological exam is a cornerstone of providing care to patients with a wide variety of neurological and neurosurgical injuries (13, 17, 18, 24). Clinicians have been assessing the pupils of patients with suspected or known brain injury or impaired consciousness for centuries (16, 26). Today, clinicians routinely evaluate pupils as a component of the neurological exam and monitoring of critically ill patients, including those with traumatic brain injury and stroke (1, 17, 18, 21, 24, 26, 35). The American Association of Neurological Surgeons and the Brain Trauma Foundation Guidelines for Management and Prognosis of Severe Traumatic Brain Injury recommend that pupillary light response should be evaluated and used as a prognostic parameter and that pupil dynamics and asymmetry should be documented in the clinical record (5). The pupillary response is also used with the National Institutes of Health Stroke Scale (NIHSS), a systematic assessment tool that provides a quantitative measure of stroke-related neurologic deficit (23). The scale is widely used as a clinical assessment tool to evaluate acuity of stroke patients, determine appropriate treatment, and predict patient outcome. Studies have shown the importance of pupillary evaluation in the clinical setting. In a comatose or heavily sedated patient, the pupillary light reflex may be one of the few components of the neurological assessment that can be repeatedly and reliably obtained (26). Anisocoria (unequal pupils), especially if the disparity is greater than 1 mm, can indicate a pathological process or a neurological dysfunction. A unilaterally dilated, sluggishly reactive or non-reactive pupil can suggest transtentorial herniation and compression of the third cranial nerve (CN III) (11, 17). In addition to herniation and third nerve compression, it has been shown through blood flow imaging that pupil changes are highly correlated with brainstem oxygenation and perfusion (28, 31, 36). Pupillary information is used clinically as an indication for possible surgical intervention. It has also been shown that, depending on pupillary status, neurosurgeons triage patients into conservative therapy or surgical evacuation of mass lesions (6, 18, 24, 27, 29, 32). Patients who undergo prompt intervention, such as surgery or hyperosmolar therapy, after a new finding of pupil abnormality have a better chance of recovery (8, 10). Scientific literature provides much evidence that alterations of the pupillary light reflex, size of the pupil, or anisocoria, are correlated with outcome of patients with traumatic brain injury (1, 3, 4, 5, 6, 7, 8, 10, 14, 19, 28, 29, 31, 32). Along with other clinical information such as age, mechanism of injury and Glasgow Coma Score, the pupillary light reflex is a useful prognostic indicator of survival, functional recovery and long term outcomes (1, 2, 10, 18, 22, 27, 29, 36). Traditionally, pupil assessments have been performed in a subjective manner by using a penlight or flashlight to manually evaluate pupil reactivity and using a pupil gauge to estimate pupil size. Common terminology employed in the clinical literature to describe the pupil light reflex and pupil size includes “unilateral” or “bilateral non-reactive pupils,” “fixed” or “dilated pupils”, as well as “brisk”, “sluggish” and “non-reactive pupils”. These subjective terms are applied without a standard clinical protocol or definition and yield a pronounced level of inter-examiner variability and error (9, 12, 14, 15, 21, 25, 34). Manual pupillary assessment as part of the clinical examination is subject to compounded sources of inaccuracies and inconsistencies and is characterized by high degrees of inter-examiner variability (1, 13, 15, 20, 21, 24, 25, 34, 35). A variety of factors can affect the validity of the visual assessment of the pupil and increase inter-examiner disagreement. These factors may include poor lighting conditions in the patient’s room, the examiner’s visual acuity, and the strength, distance and orientation of the light stimulus with respect to the patient’s eye (34). Studies have shown inter-examiner disagreement in the manual evaluation of pupillary reaction to be as high as 39% (9, 21, 25). A recent study revealed that critical care and neurosurgical nurses consistently underestimated pupil size, were unable to identify anisocoria, and incorrectly assessed pupil reactivity (13). This same study concluded that automated pupillometry is a necessary tool for accuracy and consistency in pupil measurement and that it might allow earlier detection of subtle pupil changes, allowing more effective and timely diagnostic and treatment interventions (13). The NeurOptics® NPi®-200 Pupillometer is a hand held portable infrared device that provides a reliable and objective measurement of pupillary size, symmetry, and reactivity through measurement of the pupillary light reflex. An optional barcode scanner and SmartGuard Reader allow automated patient identification entry and upload of data to the electronic medical record. Quantifying pupil reactivity on a numeric scale, the Neurological Pupil index (NPi®) allows rigorous interpretation and classification of the pupil response, compared to manual measurement. The Pupillometer and the NPi scale provide objectivity in measurement by comparing the patient’s pupillary light reflex to normative data in the NPi model. By automatically deriving whether the pupil reflex falls within the normal range (“brisk”) or outside of the normal range (“sluggish”, “atypical or non-reactive”), the pupillometer provides a reliable and effective way to quantitatively classify and trend the pupil light response, offering increased confidence in the neurological assessment (1, 4, 9, 21, 24, 25). Studies have suggested that an abnormal NPi may predict subsequent increases in intracranial pressure (ICP) (1, 4, 20). A recent study was the first to establish negative correlations between hourly pupillometer values (constriction velocity and NPi) and patient ICP; demonstrating that automated pupillometry improves accuracy of examinations and is a valuable adjunct to traditional invasive monitoring (20). In summary, pupil evaluation is a critical component in the assessment and management of critically ill patients with neuronal injury. Manual pupil measurements are characterized by high inter-examiner variability and error. Automated pupillometry and the objective scale of the NPi benefit clinicians and patients by removing subjectivity from the pupillary evaluation, providing more accurate and trendable pupil data, and allowing earlier detection of changes for more timely patient treatment. Assessment of pupil size and reactivity is a fundamental aspect of the neurological examination. However, manual pupil assessments (using a penlight or flashlight) are subjective and fraught with a high degree of inter-examiner variability. In a 2015 study from The University of Texas Southwestern Medical Center, two examiners under identical conditions evaluated the pupils of consented patients. Over 2300 paired assessments were performed by neurology and neurosurgery attending and resident physicians, staff nurses and mid-level practitioners. The study showed only moderate inter-rater reliability between practitioners for pupil size, shape and reactivity. Additionally, only 33% of pupils scored as non-reactive by practitioners were scored as non-reactive by pupillometry. (25) This study suggested the use of automated pupillometry to potentially increase the reliability of measuring pupillary reactivity. A recent quality improvement project, published by The University of Pittsburgh Medical Center, looked at adoption of use of the pupillometer in routine care in a Neurotrauma Intensive Care Unit. This center reported that the pupillometer led to increased confidence in the neurological examination, enhanced clinical decision making, and added value to patient care (1). Automated pupillometry provides completely accurate, reliable and objective pupil data, independent of examiner, resulting in quality improvement for this important component of the neurological examination. 2. Andrews BT, Pitts LH: Functional recovery after traumatic transtentorial herniation. Neurosurgery, 29:227-31, 1991. 3. Braakman R, Gelpke GJ, Habbema JD, Maas AI, Minderhoud JM: Systematic selection of prognostic features in patients with severe head injury. Neurosurgery, 6:362-370, 1980. 4. Chen JW, Gombart ZJ, Rogers S. Gardiner SK, Cecil S, Bullock R: Pupillary reactivity as an early indicator of increased intracranial pressure: The introduction of the neurological pupil index. Surg Neurol Int; 2:82, 2011. 5. Chesnut RM, Ghajar J, Maas AI, Marion DW, Servadei F, Teasdale GM, et al. Management and prognosis of severe traumatic brain injury. Part II: Early indicators of prognosis in severe traumatic brain injury. Brain Trauma Foundation, American Association of Neurological Surgeons, Joint section on neurotrauma and critical care. 41:54, 2000. 6. Chesnut RM, Gautille T, Blunt BA, Klauber MR, Marshall LF: The localizing value of asymmetry in pupillary size in severe head injury: relation to lesion type and location. Neurosurgery, 34:840-846, 1994. 7. Choi SC, Narayan RK, Anderson RL, Ward JD: Enhanced specificity of prognosis in severe head injury. J Neurosurgery, 69:381-385, 1988. 8. Clusmann H, Schaller C, Schramm J: Fixed and dilated pupils after trauma, stroke, and previous intracranial surgery: Management and outcome. J Neurol Neurosurg Psychiatry, 71(2):175-181, 2001. 9. Du R, Meeker M, Bacchetti P, Larson MD, Holland MC, Manley GT: Evaluation of the portable infrared pupillometer. Neurosurgery, 57: 198-203, 2005. 11. Goebert HW Jr: Head injury associated with a dilated pupil. Surg Clin North Am 50:427- 432, 1970. 12. Hults KN, Knowlton SL, Oliver JW, Wolfson T, Gamst A: A study of pupillary assessment in outpatient neurosurgical clinics. J Neurosci Nurs, 38(6):447-52, 2006. 14. Levin HS, Gary HE Jr, Eisenberg HM, Ruff RM, Barth JT, Kreutzer J, High WM Jr, Portman S, Foulkes MA, Jane JA, Marmarou A, Marshall LF: Neurobehavioral outcome 1 year after severe head injury. Experience of the Traumatic Coma Data Bank. J Neurosurgery, 73(5):699-709, 1990. 15. Litvan I, Saposnik G, Maurino J, Gonzales L, Saizar R, Sica REP, Bartko JJ: Pupillary diameter assessment: Need for a graded scale. Neurology, 54:530-531, 2000. 16. Loewenfeld IE, Lowenstein O: The pupil. Anatomy, Physiology, and Clinical Applications. Wayne State University Press, Detroit, 1993. No longer in print. 17. Manley GT, Larson MD: Infrared pupillometry during uncal herniation. J Neurosurgical Anesthesiology, 14:223-228, 2002. 18. Marmarou A, Lu J, Butcher I, McHugh GS, Murray GD, Steyerberg EW, Mushkudiani NA, Choi S, Maas AIR: Prognostic value of the Glasgow Coma Scale and pupil reactivity in traumatic brain injury assessed pre-hospital and on enrollment: An IMPACT analysis. J Neurotrauma, 24(2): 270-280, 2007. 19. Marshall LF, Gautille T, Klauber M, Eisenberg HM, Jane JA, Luerssen TG, Marmarou A, Foulkes MA: The outcome of severe closed head injury. J Neurosurgery, 75: 28-36, 1991. 21. Meeker M, Du R, Bacchetti P, Privitera CM, Larson MD, Holland MC, Manley GT: Pupil examination: Validity and clinical utility of an automated pupillometer. J Neurosci Nurs, 37(1):34-40, 2005. 22. Narayan RK, Greenberg RP, Miller JD, Enas GG, Choi SC, Kishore PR, Selhorst JB, Lutz HA, Becker DP: A comparative analysis of the clinical examination, multimodality evoked potentials, CT scanning, and intracranial pressure. J Neurosurgery, 54(6):751-762, 1981. 23. NIH Stroke Scale (NIHSS). www.nihstrokescale.org. 27. Petridis AK, Dörner L, Doukas A, Eifrig S, Barth H, Mehdorn M: Acute subdural hematoma in the elderly; clinical and CT factors influencing the surgical treatment decision. Cen Eur Neurosurg., 70(2):73-78, 2009. 28. Ritter AM, Muizelaar JP, Barnes T, Choi S, Fatouros P, Ward J, Bullock MR: Brain stem blood flow, pupillary response, and outcome in patients with severe head injuries. Neurosurgery, 44(5):941-948, 1999. 29. Sakas DE, Bullock MR, Teasdale GM: One-year outcome following craniotomy for traumatic hematoma in patients with fixed dilated pupils. J Neurosurgery, 82(6):961-965, 1995. 30. Shoyombo I, Aiyagari V, Stutzman SE, Atem F, Hill M, Figueroa SA, Miller C, Howard A, Olson DM: Understanding the relationship between the neurologic pupil index and constriction velocity values. Scientific reports, 8(1): 6992, 2018. 31. Taylor WR, Chen JW, Meltzer H, Gennarelli TA, Kelbch C, Knowlton S, Richardson J, Lutch MJ, Farin A, Hults KN, Marshall LF: Quantitative pupillometry, a new technology: Normative data and preliminary observations in patients with acute head injury. J Neurosurgery, 98(1):205-213, 2003. 32. Tien HC, Cunha JRF, Wu SN, Chughtai T, Tremblay LN, Brenneman FD, Rizoli SB: Do trauma patients with a Glasgow Coma Scale score of 3 and bilateral fixed and dilated pupils have any chance of survival. J Trauma, 60:274-278, 2006. 33. Wilkie, A: Nursing time savings study: Pupillary assessment times. Poster presentation, 2015. 34. Wilson SF, Amling JK, Floyd SD, McNair ND: Determining interrater reliability of nurses’ assessments of pupillary size and reaction. J Neurosci Nurs 20:189-192, 1988. 35. Worthley LIG: The pupillary light reflex in the critically ill patient. Critical Care and Resuscitation, 2:7, 2000. 36. Zhao D, Weil MW, Tang W, Klouche K, Wann SR: Pupil diameter and light reaction during cardiac arrest and resuscitation. Crit Care Med, 4(29):825–828, 2001. Why measure the pupils of a critically ill or injured patient? 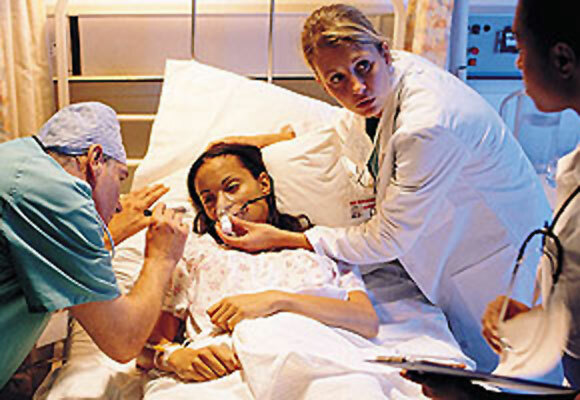 Frequent pupil evaluation is part of the protocol for care of the critically injured or ill patient. The pupillary light reflex (PLR) and pupil size have traditionally been used as a clinical parameter and as a prognostic indicator. The Brain Trauma Foundation and the American Association of Neurological Surgeons recommends that pupillary light reflex for each eye should be used as a prognostic parameter and that the duration of pupillary dilation and fixation should be documented. In addition to use on patients with neuronal injury, the pupillometer can facilitate measurement of pupil dynamics on patients who are under the effect of recreational drugs or medications prescribed for medical treatment – such as analgesics, sedatives, and anesthetic agents. Certain drugs or medications have an effect on pupil size, often making manual assessment challenging and potentially inaccurate. How is this assessment currently done? Currently, this assessment is manually performed by clinicians using a penlight/flashlight and pupil gauge (Haab scale(citation)). Terms such as “brisk”, “sluggish”, “minimally reactive” or “non reactive” are used to describe reactivity resulting in a very subjective and qualitative measurement. The American Association of Critical-Care Nurses (AACN) Procedure Manual for High Acuity, Progressive and Critical Care features a new section on pupillometry, noting that the pupillary examination is a key assessment performed during neurological examinations and guiding nurses on the use of automated pupillometers. The new edition of the American Association of Neuroscience Nurses (AANN) Core Curriculum for Neuroscience Nursing includes a new section on automated pupillary assessment, which states that use of a pupillometer removes measurement subjectivity and provides a way to track and trend pupillary reactivity in a consistent, objective, and quantifiable way. Utilization of pupillometry has been shown to decrease nursing workload and is associated with time savings compared to manual assessments (29). (29) See bibliography at top of page. Staff education focusing on both the pupillometer system operation and its clinical utility is essential to success of pupillometer program adaptation. NeurOptics stands ready to support staff education needs by working with clinical educators/managers to develop a comprehensive day/night/weekend staff education plan according to institutional requirements. Education focuses on operation of the NPi-200 Pupillometer and conceptual understanding of how pupillometry can help clinicians better manage critically ill patients. NeurOptics strongly recommends planning staff education to align closely with the date of pupillometer installation so that staff can use the devices immediately once trained. NeurOptics will work with the critical care leadership to identify the timing and framework of clinical staff education required that will be conducted by NeurOptics personnel. NeurOptics estimates that all critical care unit staff working during the initial training period will receive one-on-one inservice education to ensure each clinician is fully trained. To reinforce the training and operation skills, supplementary training scheduled four-to-six weeks following the initial training is recommended, as well as inclusion of pupillometry training in unit Skills Days. Physicians in the critical care unit, as well as midlevel providers, will need to be trained on use of the device and interpretation of the data. NeurOptics has local representatives that can assist, as well as a network of trained Clinical Specialists. It is important to establish unit protocols and guidelines for use of the Pupillometer. The protocol/guideline should include baseline pupillometry readings on appropriate patients upon admission to the critical care unit along with guidelines for ongoing measurements for trending of data. Hospital approved guidelines are available from your NeurOptics’ representative for use when developing protocols/guidelines. In order to achieve the benefits previously identified, the automated pupillometry program must have intensive collaboration of a multidisciplinary team of professionals including nurses, providers, nursing leadership, Biomedical Engineering, Information Technology, and Supply Chain Management.